Yes Accounting make Book Keeping simple, fast and reliable. Using the power of Receipt Bank and Xero for Accounts Payable we deliver book keeping quickly and simply into Xero. Bookkeeping is very competitively priced. We supply your business witha FREE Receipt Bank account and unique email address. 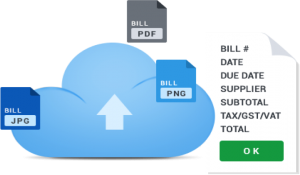 Just email bills to the unique email address or ask your suppliers to send the bills straight to Receipt Bank or simply drag and drop into the online portal.